Yesterday I was bemoaning the fact that Disney in the late 40s and early 50s seemed to be an alternating stream of Donald Duck and Pluto shorts. So when I saw a new Goofy short on the upcoming list, I got excited. I got even more excited when I saw what it was – Motor Mania. This is a short that I’ve seen many times before, but it never fails to entertain. But now I’m a jaded reviewer, right? Having watched so many shorts, this one had to be less impressive, or was it? Absolutely not. Motor Mania holds up today as a prime example of how cartoons can be used as a comment on life and a mirror to our existence. If that sounds too deep for a Goofy cartoon, just watch it. The entire short is about the craziness that people are overcome with once they step behind the wheel of a motor vehicle. 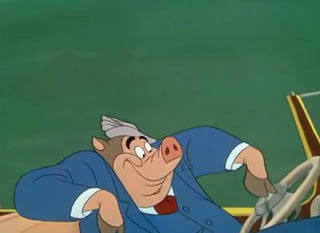 I dare anyone to watch this short and not see parallels of themselves or someone they know. It makes it instantly relatable and accessible for adults, but remains funny for kids. 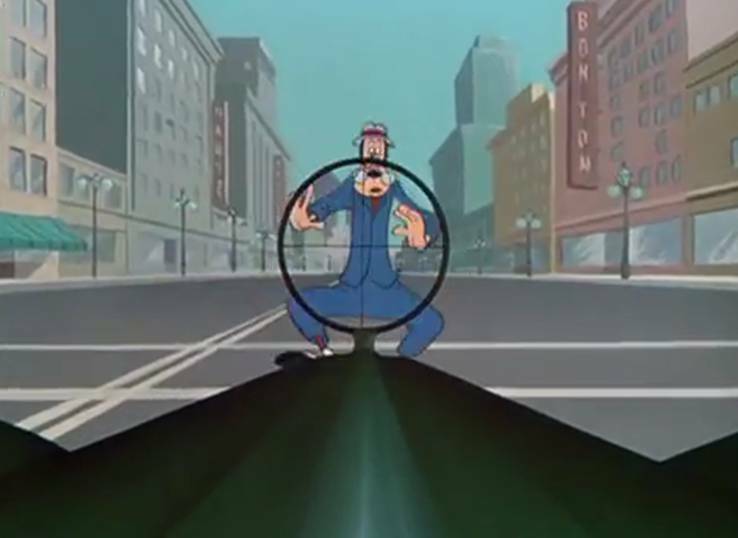 The short details the conflict inherent between Goofy when he is walking, as Mr. Walker, and his driving self, known as Mr. Wheeler. There’s a Jekyll and Hyde transformation when he sits down in the car that is so well done they use it twice! It’s everything you are looking for in this sort of comedy. It’s over the top yet it’s fairly accurate to things you will see in every day life. That’s the best kind of satire that doesn’t make you feel like you’re being preached to in any way, but just makes you laugh. This is Goofy in his “everyman” period, when instead of being the loveable Goof he is instead thrust into the role of playing you or I. It works well because the gags are so relatable. Watching a fellow motorist get Goofy in his sights on the car hood, I flashed back to trying to escape the Citrus Bowl a few years ago, when someone sped up to try and run down my wife and I. These things really happen, and they’re not funny when they do, but in cartoons, we can see the inherent silliness of things we do every day. Using the omniscient narrator to tell the story, Disney managed in this short to show how amazingly insane some of our simplest behaviors can be. 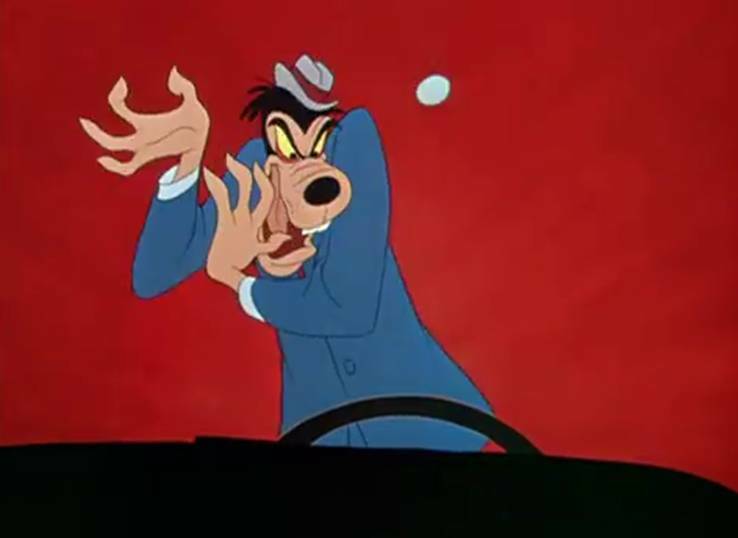 It’s the same contrast they used in the Goofy “How To” shorts, but instead of poking fun at the Goof, the finger is now pointed at the audience, even if it’s indirectly. 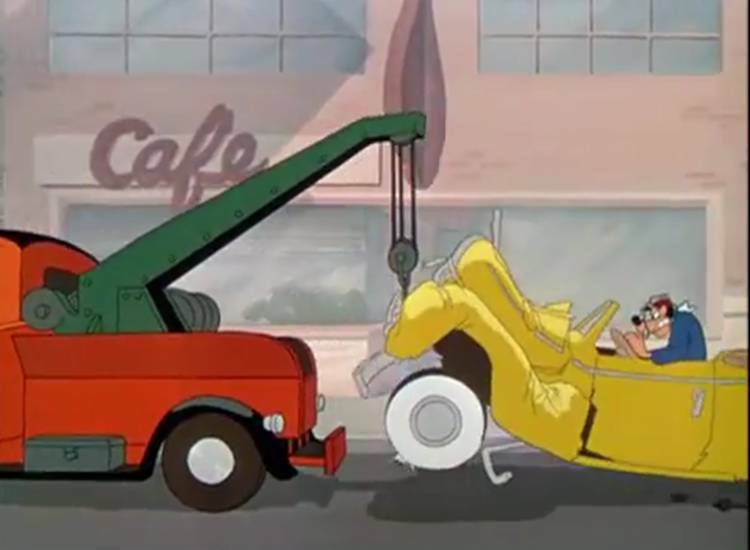 It’s this brilliant yet subtle change that makes Motor Mania one of the standout shorts of Goofy’s career.